So you're ready for some outdoor fun and adventure? We have just the mix of soft adventure through to adrenaline-pumping excitement for you in Hobart and beyond. You can even book some adventures directly with us. The vast wilderness of Southern Tasmania is home to stunning rivers, estuaries, lagoons and bays. Esperance Adventures offers guided kayak tours through these wild but protected waters, providing an amazing opportunity to explore the tranquil beauty of the area and learn about its wildlife and amazing history. For the ultimate full-day Far South experience, combine a Lune River tour with a trip on the Ida Bay railway for a return journey through the forest. Or take the family and hunt for treasure on a deserted island with a Treasure Hunter tour. No previous experience is required for this easy flatwater paddle. All equipment and refreshments are provided. 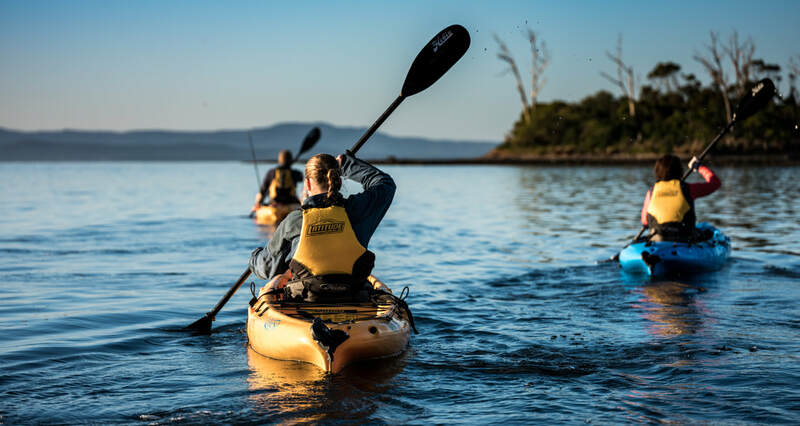 ​See Hobart’s waterfront from a perspective few get to experience – from your very own kayak. You’ll begin by paddling past historic Battery Point and gliding under fishing wharfs before entering the Hobart docks. Here you can paddle beside luxury yachts, tall ships, fishing vessels and possibly even Australia’s Antarctic research flagship, Aurora Australis. Enjoy an on-water dining experience with fish and chips from the comfort of your kayak while your guide fills you in on some local stories. Find Hobart City Paddle on Facebook - trips depart from marieville esplanade, sandy bay. 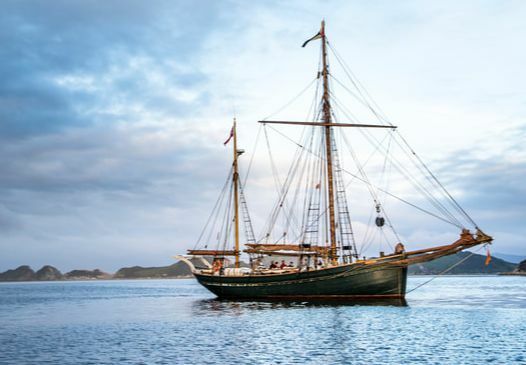 Experience tall ship SV Rhona H, a historic 1942 ketch-rigged vessel. 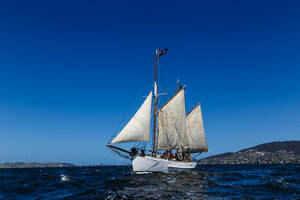 Enjoy freshly-prepared Tasmanian refreshments as you see Hobart from the decks of part of Tasmanian maritime history. 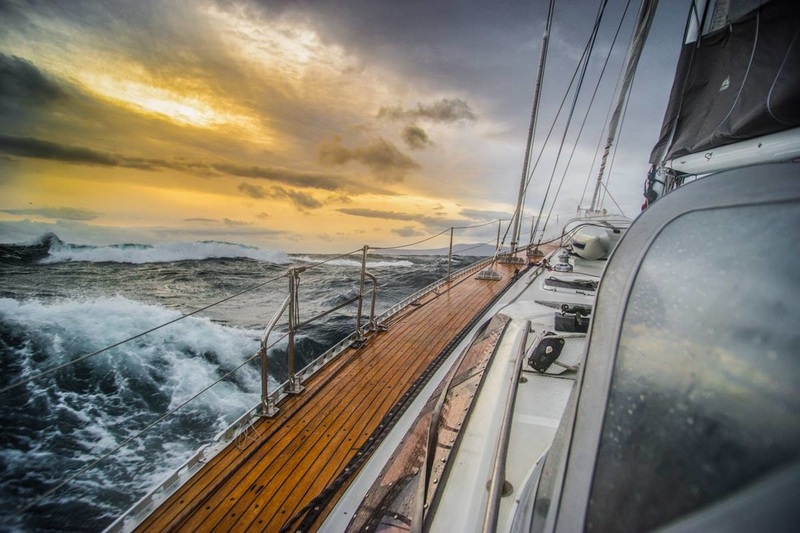 Sails are always set; you’re welcome to assist the crew or sit back and relax. In summer, set sail for Bedlam Walls Caves and Shag Bay, where you can see these amazing rock formations from the boat. Or visit the D’Entrecasteaux Channel and hear some of the history of the area. All trips sail under the Tasman Bridge – watch the depth sounder spike as you cross the shipwrecked Lake Illawarra, which sank in 1975, taking a span of the bridge with it!